"Our experience looking for a home in Michigan is probably different from most we were looking for a house to stay in for a couple of nights a week while our daughter has therapy in the Plymouth area. Rakesh was recommended to us by a friend who spoke very highly of him and I can say we weren't disappointed at all with the excellent service and dedication we received from Rakesh I would recommend him to anyone I know. He is professional, respectful and very hard working I would use him again." ""We have been working with Rakesh for almost 6 months now looking out for our perfect home. Our experience has been nothing less than FANTASTIC. We have worked with other realtors before meeting Rakesh, and, in our first meeting we noticed a HUGE difference in the way Rakesh partnered with us in finding our home. His market experience, ability to understand our needs and managing every aspect of the process is second to none. We would definitely recommend Rakesh to everyone we know."" "My name is Austin Bowersock. In the past year I have worked side by side with Rakesh Gangwani for both investment and personal properties. Throughout each process, Rakesh is hands down the hardest working individual I've ever met. Day and night, Rakesh works tirelessly to help his clients secure their ideal property. His research is thorough and effective. His passion for real estate combined his extensive knowledge of each area we visited made the search exciting and efficient. When the right properties presented themselves, Rakesh wasted no time in closing the deal and ensuring both parties were on the same page. His communication with us was consistent and open to avoid any confusion or conflict. His personality is compassionate, diligent, and honest. And I am proud to say Rakesh is a true friend! negotiations, inspections and closing you exceeded my expectations, always put my interests first, and offered me the guidance and support that was truly vested in my satisfaction, as opposed to your own. I also appreciate your referrals to contractors who I could work with us to remediate repairs and address renovations." "Rakesh has not only been taking the role of an agent for me but of advisor when I bought my first home. Due to his experience of 20 years in the field he was able to provide knowledge, guidance and wisdom for my decision making process in buying. I observed his aptitude from the first meeting which gave me confidence to continue to engage him. I had learned from his approach along the way, not only as a Real Estate agent but also as a professional. I recommend him to anyone that is looking for a reliable partner in the field and guide in the process. Either that you are looking to buy your first home or are an experienced investor, you are in good hands with Rakesh." "Rakesh, you helped me find a second investment property in Wixom. You guided me throughout the process and leveraged your excellent relationship with the builder to ensure everything was top notch. I look forward to getting another long term lease for this property fairly soon. It was a wonderful experience working with you for the past year or so. You helped to list my Canton property and got it rented for a corporate rental in just a couple of weeks. You always kept me in the loop on what's happening during the listing process. You also got an offer for more than the listing price and a two year rental which is always nice." "Realtor Rakesh Gangwani is a Preferred Realtor for "Toll Brothers Luxury Homes." I have had the pleasure of working with Rakesh at our "Montcaret Community in Northville, Steeplechase of Northville & Dunhill Park in Novi." His attention to detail & knowledge he brings to the new construction home buying process is second to none! He listens to his buyers needs & knows the market, has better folllow-up than any Realtor in the business. I would highly recommend Rakesh Gangwani for any Real Estate transaction." Bunch of thanks for your suggestions, coordination, and directions towards to get expected home with most recent design and architecture of the house with 2018 built. We're so glad and very happy on new home. Taking a moment and greatly appreciate to both of you. We were so happy on the way you people have been helped, valuable suggestions on time, very quick responses for each and every queries and concerns.We're so lucky to get nice realtors like you. Also, we're 100% confident and refer other friends whoever looks for new home. Looking forward to work with you in future if any. "Over the years that I have worked with Rakesh, I have found that he takes time with his buyers to be sure they are getting the perfect home. He treats his buyers like family." I would like to say thanks for your efforts in getting the home for us. You understood our needs and likings and we are so happy and excited after getting a great home in Novi. I really appreciate your skills, proactive ness, hard work and time to make this happened. It was great working with you. I will really recommend/refer you if I get chance." "Rakesh provided invaluable assistance in our effort to secure rental housing when we recently closed the sale of our home. Rakesh acted with dispatch, professionalism and skill by coordinating with the owner to facilitate reaching an agreement and then finalizing the details within days of our initial expression of interest. In addition to the skill and enthusiasm he demonstrated at each critical moment in the process, Rakesh is very client-oriented. We found his overall approach extremely effective and refreshing." "I am just writing you to thank you for all you help with our recent transactions for real estate investments. I really appreciate your professionalism, thorough research, due diligence and your expertize in the field. I am happy with our investment returns we have achieved with your real estate advisory and would be looking forward for upcoming investment opportunities." "Thank you for your assistance in helping Ricardo purchase his new townhome here in Liberty at Tribute. I know how much he appreciated all your hard work along the way. Also, huge thanks for helping to make his experience along the way OUTSTANDING! I’m looking forward to doing more business with you in the future!" "It has been a great pleasure working with you. Thanks for always being there with us and helping us buy a new house in the Enclave sub-division in Northville. We very much appreciate your ever smiling face and quick responses to all our questions...All the best for your future endeavors..."
"Working with Rakesh is always a pleasure. I am always thrilled when he brings me clients because I know they are receiving the best care from him. He is extremely professional and always willing to help. He is always part of the build process with his buyers, from the first meeting with me all the way until closing and beyond. You are truly in great hands when working with Rakesh!" "Thank you for helping us find a home here in Oakland County. We deeply appreciated that you actually listened to our needs and counsuled us on our wants. Every property you took us to was in our ball park. When we did settle on a home to purchase your skills of negotiation ensured that we got a great deal. You were more than an agent, you were our advocate and champion. Rita and I want to thank you for helping us find our First house and also thank you for the time and efforts you put in to make it ours!! We are extremely happy and thankful to you!!" "I was referred to Rakesh Gangwani by one of my friends who worked with him in the past. It was a great home buying experience working with Rakesh. He always stays on top of things and would answer the call whenever needed. I never had to waiting on him for any information." "If you are looking for a real estate agent Rakesh is the man for you, TRUST ME You won't be disappointed”. Rakesh worked with us on a very personal basis and helped us to understand what we really wanted. My experience with Rakesh was simply outstanding. My wife and I were looking to rent a house with certain specifications in Northville school district. At one point, Rakesh even told us that "You might decide to buy a house rather rent in; he explained the pros and cons in buying a house. He helped me buy a condo with all the right requirements me and my wife was looking for and all this happened within a very short period of time. He is extremely professional, personable, diligent and detailed oriented. His sales results speak for himself. “Rakesh is knowledgeable and always available. He would always show up on short notice and take us to see potential homes. It was his local area knowledge and networking that enabled us to purchase our new home. On top of that, he introduced to the right people to take care of our financial needs in buying this condo. I have been watching the listing since our offer was accepted and there has still not been another home like the one Rakesh found!” We simply could not have done this without Rakesh. THANKS a LOT Rakesh! You have done a commendable job. Surely, some of my friends who are in search of a house to buy, will be knocking your doors." "t's your great pleasure that we got you as our realtor. During whole process from finding house to making home you represented us very well to builder and have done more follow up to builder so that they can give home on time. We really appreciate your help and kind of work done for us. Be like this and help many new home buyer like us. "It was nice working with you in buying/renting the condo. Below are the qualities you have that other realtors lack; if you continue your working style you will go places in the future. I will refer you to my friends and family who require realtor services. We will sure work in future. "Thank you for helping Rajat and his family with his new home here in the Orchards of Lyon. They were very happy with their new home and I know they appreciated your help along the way. Thank you for making the process extremely easy working with you and I look forward to working with you again in the near future!" "It has been a pleasure to work with you. Your experience and knowledge about market is vast and I really appreciate your effort and enthusiastic. You were always available to show house. Surely going to recommend you to my friends and Hope will work with you again in future. "We closed our new house at South Lyon in June, 2017. I acknowledge how instrumental Rakesh has been in making our entire first time home buying experience so much enjoyable at the same time so enriching & a learning one. I am highly recommending him to my friends & family not only for their real estate needs but also, everything that goes before and after that like mortgage, appliances shopping, getting home repairs and installations at the cheapest cost around the city! A mortgage competitor agreed they can not beat the deal that I got from the contact provided by you - Thanks for that. When I informed my friends about the builder I went with by your word, I unanimously heard - they are the best in business - Thanks for that. Last but not the least, when we were confused between many options you were able to help us out with sorting our priorities correctly and being able to filter out home options accordingly - This is since last year - hard to imagine its been a long time...Thank you for making our experience wonderful. It was great working with you.. and it will continue to be a pleasure..."
sub-divison. He puts in lot of hard work and personal interest in helping a client buying a house of his choice. We are wising him the best for his future." "Rakesh was always been there for me, answered all me questions in an understandable and timely manner. And he was always bright and cherry. He made me feel confident in my decisions and I felt he had my back and was standing up for my best interests. He is knowledgeable and sharp. He walked me through a process that I found quite daunting and made it a positive and pleasant experience." "Rakesh is an excellent real estate agent with great knowledge and skill set. He educated with me with the entire process & Notified me when property came on market, ran comp report, walked me through the report & Explained the market conditions and came up with a suggested offering price. He never insisted me to buy a property after suggesting an offering price instead asked me to decide. Right from the time I made the offer, he has been in constant contact. Once offer is accepted, walked me through with inspection process and closing process. Rakesh is always one step ahead and proactive in communicating with all the parites involved & worked very closely with my loan office and his associates to ensure timely closing. He went above and beyond his job in buying and leasing my property & I would recommend Rakesh to anybody without any hesitation." "Rakesh has been an amazing real estate agent helping me all the way through the home buying process. Rakesh has a pleasent nature and great knowledge about SE Michigan area with great business accumen. I will highly suggest Rakesh as an agent pursuing real estate buying/selling or property management in the Detroit and surrounding area." "I would like to write a commendation of excellent service for our Realtor, Rakesh Gangwani , who went above and beyond the call of duty. He was very prompt with responses and was always available to answer any questions that we had. He has a wonderful attitude and always has a ready smile. I am currently renting but will be contacting Rakesh to work with him in the near future for the purchase of a home. "Rakesh Gangwani is one of the finest real estate agents. With speed of execution, sometimes important stuff may get overlooked which could land you in to problems. But with Rakesh it is different. He is swift and thoughtful keeping the best interest of the client in mind in a wholistic way. Our experience with him for renting a home and then subsequently buying it was a very well executed and thoughtful deal. He explains things very nicely and is very focused in his follow up. We are very satisfied with his services and would recommend him to anyone needing expertise in real estate buying, selling or renting. Abdulla and I would like to thank you for the excellent experience we had working with you. You met our expectations and also answered all of our questions. You will be highly recommended. It was a pleasure doing business and looking forward to more,"
"I wanted to provide feedback regarding our agent Rakesh. He recently, helped us find an apartment in Novi, MI. We have moved 10 times corporately and live in New Orleans, LA. This apartment gets us back to our kids who live in the area. We met Rakesh on line as we were simply contacting him and others about properties they had listed. He should strong initiative, awesome personality and his follow up has been amazing. He was flexible setting up our day and helped us secure our apartment which was great. However, he went above and beyond helping us with utility companies, apartment repair inspections and getting everything ready for move in day. We couldn't have done all this as easy without him. Thanks again. "Rakesh is really a great advocate for his clients and works hard to please them. I would highly recommend using Rakesh as a realtor whether you are in need of leasing, selling or buying a home!" 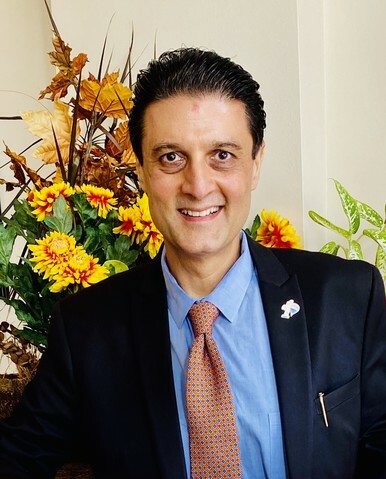 "It is with pleasure and gratitude that we share comments on our experience with Rakesh Gangwani from REMAX Dream Properties in Northville with the purchase of our home. While we have bought and sold a number of houses, we have never before encountered such a level of excellence. Rakesh is both very professional and personable. Rakesh possesses all the attributes necessary to be an excellent broker: he knows his market extremely well; he is diligent, responsive, and yet very patient with his clients. He clearly takes pride in doing a good job. In our particular case as a buyer of a home that needed to do a quick close, there were many rough spots on the road and in every instance he was a great help to expedite the closing process in the time requested (less than 30 days!). He is a true asset to the REMAX dream team in Northville and we most certainly highly recommend him and will use his services again in the future as needed. Thank you Rakesh for taking the time to make Larry and I a priority and we appreciate you more than we can express. "Mr. Rakesh Gangwani is the most professional and hardworking realtor we have ever met. He found the home for our family of four in two days. His negotiation skills are superb, and he takes care of our house-related needs like a family member. I would refer Mr. Gangwani to any families who are looking for a place to live in the area." "We worked with Rakesh on the purchase of our new home. Overall, it was a great experience. He was knowledgeable, patient, and very responsive. Rakesh always kept us in the loop, so we knew what was happening and what to expect the whole time. Everything went smoothly, and we would definitely recommend him to friends and family." "Rakesh is an amicable person who made us feel comfortable immediately and as a first time home buyer we couldn’t have been happier. He went above and beyond his job to find us a home that was to our specifications. Our Home buying experience would have been overwhelming if not for Rakesh, he was well informed and super quick to respond to our questions. He is a true professional who cares for his clients and would highly recommend him to anyone buying or selling a home." "Thanks again for all your help selling our house, 16975 Warwick Ct, Northville, MI. Your patience, positivity, and hard work were instrumental in getting our house sold. Thanks again for holding the Open House every weekend, sometimes weekdays, and for educating potential buyers about some unique features of our house. Your negotiation skills were effective in getting us the price we wanted. Harsha and I truly appreciate your dedication. We highly recommend your realtor services to others. Thanks!" "We had originally toured a few homes way back in 2013 about 25-30 homes in search of that perfect one.But again in early Feb 2015 we started out with Rakesh and found the perfect one in a month. Rakesh is a excellent person to work with, he is patient,very flexible and willing to work around your schedule. He is very knowledgeable and is able to provide sound advice, especially for a first time home buyer like us. It has been almost an year we bought our home and he still responds for any help with home. We will gladly work with Rakesh again and would recommend him to anyone looking for an awesome agent." "Rakesh was introduced to us in March of 2014 to sell our house in Canton, MI. This house was in the market for over 6 months period during 2013 and our previous agent could not get the job done. From the first meeting we had with Rakesh, we could tell he is the one for this job and will get it done for sure. We had a contract in hand within one week after listing and the closing was planned in time to move to our new house. Rakesh is by far the best real estate agent I have ever known. He has incredible attention to detail, excellent follow-through, and is extremely kind and personable. I would highly recommend him to anyone, and it was a real pleasure working with him. He is always willing to go beyond the expectations of a potential real estate buyer or seller. In finalizing all the detail work involved in closing the deal and completing the paperwork, Rakesh was very helpful and was always on top of all closing requirements. We highly recommend Rakesh to anyone looking for a highly effective and reliable real estate agent."